First Field Corn Tassels Seen Today! I know the old saying is “knee high by the fourth of July”, but how about tasseled corn by July 9th? I’m doing some crop scouting up by Galesville today and in a lot of the fields I’m seeing V14 to V15, and this earlier planted field has its tassels emerging this morning. Did I get hail in my beans or is something eating them? The short answer is neither. I have looked at a number of fields in the area and it looks like we have some Bacterial Blight in our soybeans. I attached a photo from an area field, and some nice publications from Iowa State going over what these disease look like. 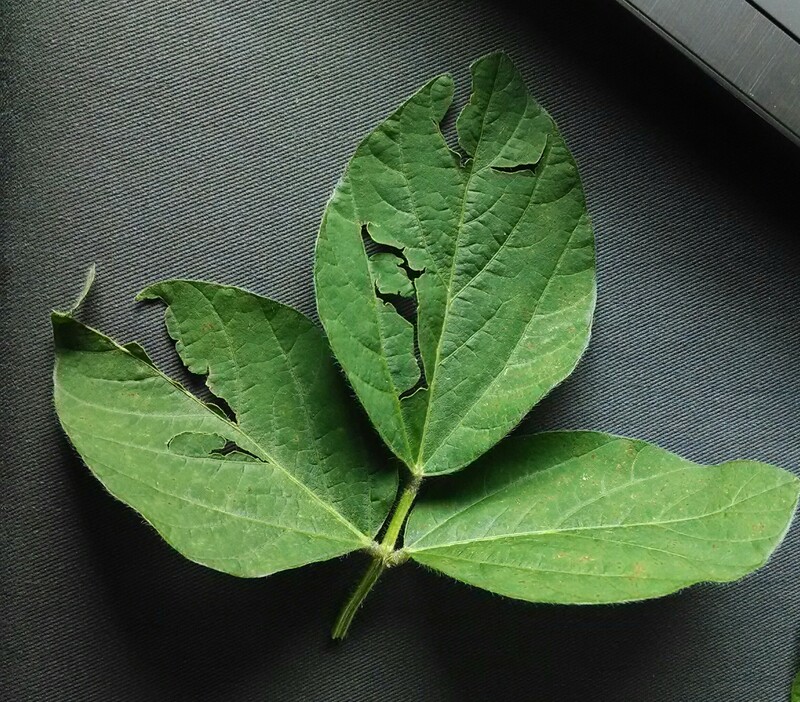 When I looked closely at area fields you could find the missing pieces of the soybean leaf. So this helped to prove that nothing had eaten the plant but rather it is the result of a bacterial disease attacking the plant and pieces of the leaf tissue falling to the ground. Remember a foliar fungicide will not do anything for bacterial diseaseas, but if you have any fungal diseases present in your soybeans, fungicides will help in that situation.